If you’ve been injured in an accident that was the fault of another party, you may be eligible to file an accident lawsuit with the assistance of an accident attorney in Riverside. Your accident lawsuit will list your damages, which refers to the losses you’ve sustained and the compensation you’re seeking. Generally, a lawsuit can seek two types of damages: economic damages for calculable losses like medical bills and non-economic damages for intangible losses like pain and suffering. However, in some situations, there is a third category of damages that may apply. This is known as punitive damages. Not every accident lawsuit can successfully obtain punitive damages. 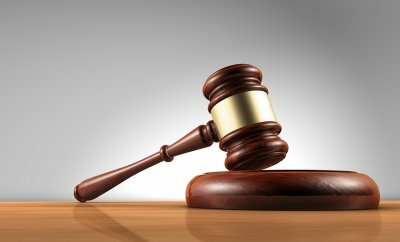 When a jury does award punitive damages, it is for the purpose of punishing the defendant, hence the word “punitive.” Punitive damages aren’t intended to compensate the plaintiff for his or her losses, although the plaintiff will receive the punitive damages. Instead, it is thought that punitive damages may help serve as a deterrent to prevent egregious conduct from occurring again. Is there a limit to the amount of punitive damages? Some states do set limits on the total amount of punitive damages that may be awarded. These limitations are called “caps.” For example, in Colorado, the amount of punitive damages cannot exceed the amount of compensatory damages. However, in California, there is no definitive cap on punitive damages, although the punitive award must be reasonable in comparison to the compensatory damages. Since these laws are subject to change over time, you should consult your accident attorney for the most current information. Which plaintiffs might be entitled to punitive damages? Not every plaintiff is entitled to punitive damages. These awards are intended to serve as punishment when a defendant’s conduct is found to be particularly egregious. In California, punitive damages may be available when a defendant’s conduct can be shown to be fraudulent, malicious, or oppressive. For example, the defendant may have displayed a willful disregard for the plaintiff’s safety or rights.